In the last year the cross genre sound of Deep Tech and House has taken the world by storm and has revived some amazing production and sounds in the name of Deep House. Designed exclusively to deliver only the finest, deepest and smoothest presets, this pack provides a definitive collection with everything you need to create tracks that will bring everyone rushing on the dancefloor. From warm electric pianos and chords, phasing textures, filter interplays, smooth modulations, square bass sounds, deep subby bass, lush keys or groovy tech loops, you’ve got everything in this pack. 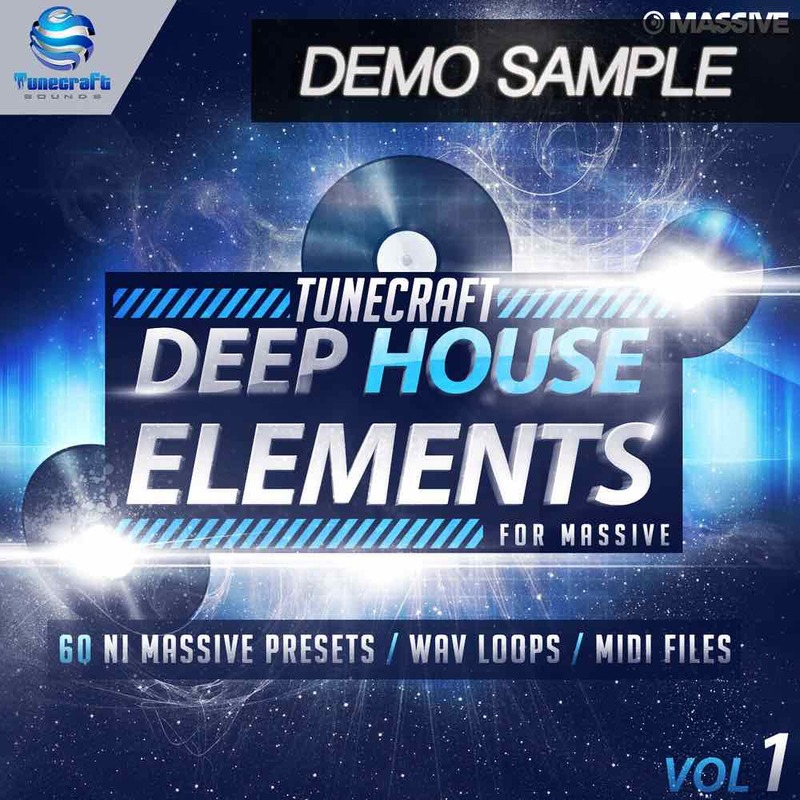 Suitable for any style of House, Techno, Deep, Garage, 2step, Minimal and even more, this comprehensive collection of presets comes with macros assigned and are totally tweakable and morphable into your own creations. Bonus #1: We added 136 wav loops sorted in 9 subtle groove kits (used in the demo), all delivered in 24 bits WAV, and ranging from 122 to 127 bpm: They will perfectly match the presets and be a great addition to your new productions. Bonus #2: Dig in the ableton live 8 demo project and check how we edited the midis and how we automated Massive’s parameters ! No external plugins needed, just Massive, some automation tweaking and a bunch of EQs and compressors to ensure the sounds blend well together, and that’s it! Bonus #3: Not an ableton user? No problem! We also added all the midi clips from the demo to recreate any sound or melody, and create your own tracks from scratch! So whether you want ready made presets to slot straight in to your work with no fuss, or want to get deeper into designing your own unique sounds, this outstanding pack is a must to bring back to your lab, fire up your equipment and create your next level tune!